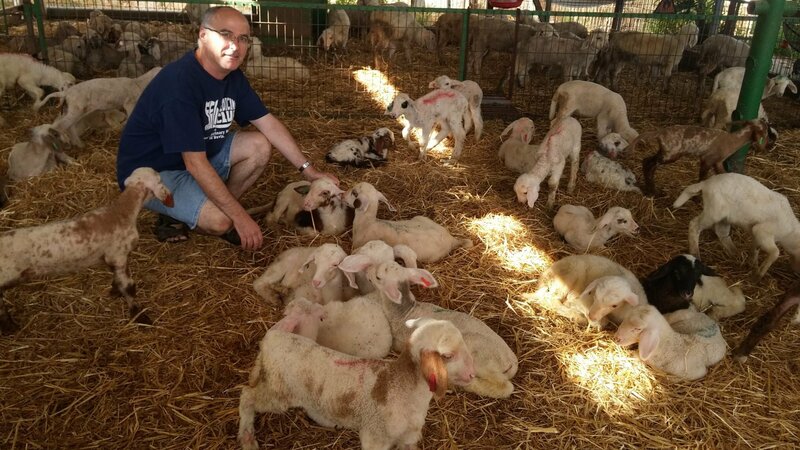 In 2009, a group of the Hebrew University of Jerusalem researchers led by Ron Ofri, a Professor of Veterinary Ophthalmology, along with teams from Hadassah Medical Center (led by Professor Eyal Banin) and the Volcani Agricultural Research Organization (led by Professor Elisha Gootwine), identified a herd of sheep suffering from day blindness. As the name implies, affected lambs are blind at day, and visual at night. The researchers characterized the disease and were able to demonstrate that it is caused by a mutation identical to one causing achromatopsia in humans. Achromatopsia is a similar disease, in which the absence of retinal cone function causes loss of color vision, severely reduced visual resolution, and legal blindness in human patients. 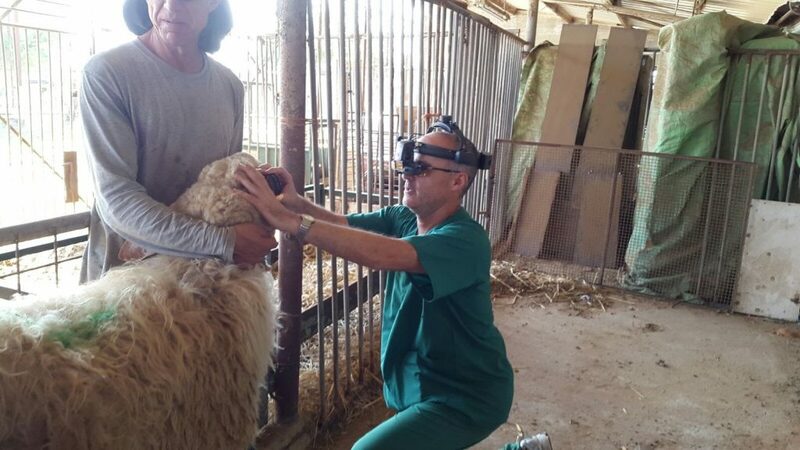 More interestingly, the specific form of the disease discovered in sheep is the one that is most common in Israeli patients, and in the Jerusalem-area alone, the prevalence of achromatopsia is as high as 1:5,000 people. Because of the similarity between the ovine(sheep) and human diseases, Professor Ron Ofri and his colleagues began gene therapy trials in the affected animals. A virus carrying a copy of the mutated gene was injected beneath the retina and began producing the missing protein. 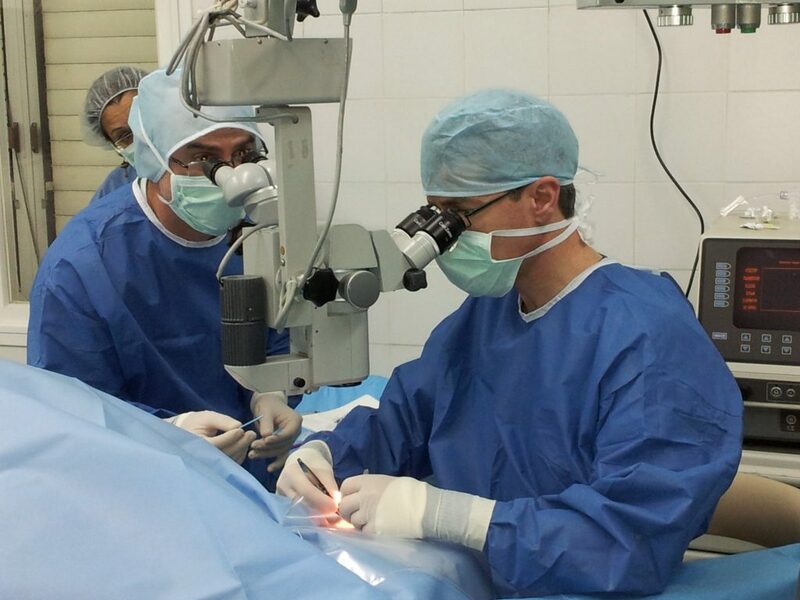 The treatment resulted in restored vision in treated eyes, while untreated eyes remain blind. Even more remarkable is that the oldest surviving experimental animals are still visual more than six years after a single injection, a significant scientific and medical achievement that did not escape the attention of the prestigious journal Human Gene Therapy which featured Professor Ofri’s accomplishment. Based on these results, showing both long-term effectiveness and safety of treatment in the sheep models, the United States FDA last year granted permission to begin clinical trials in human patients (NCT02935517), and several medical centers in the U.S. have already begun treating achromatopsia patients. The Israeli Ministry of Health has just granted similar approval, and clinical trials will begin shortly in Israel. These approvals, coming less than 10 years since the discovery of the original sheep herd, represent a remarkable example of a translational, bench to patient bedside study, where successful scientific results are applied to restore vision in blind human patients.